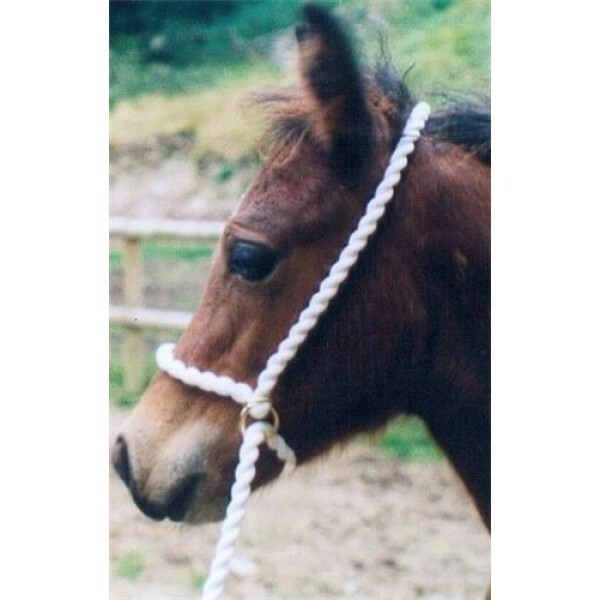 100% Soft Cotton Hand Made Show, Control or Training Halter. Made here in Wales from 100% Soft Cotton Rope with (optional) Solid Brass fittings, this Halter is fully adjustable and will fit anything from a Sheep to a Shire! Available in Bright WHITE for the Showring or Black for home use! Extra Long being 1-25 mtrs longer than standard.